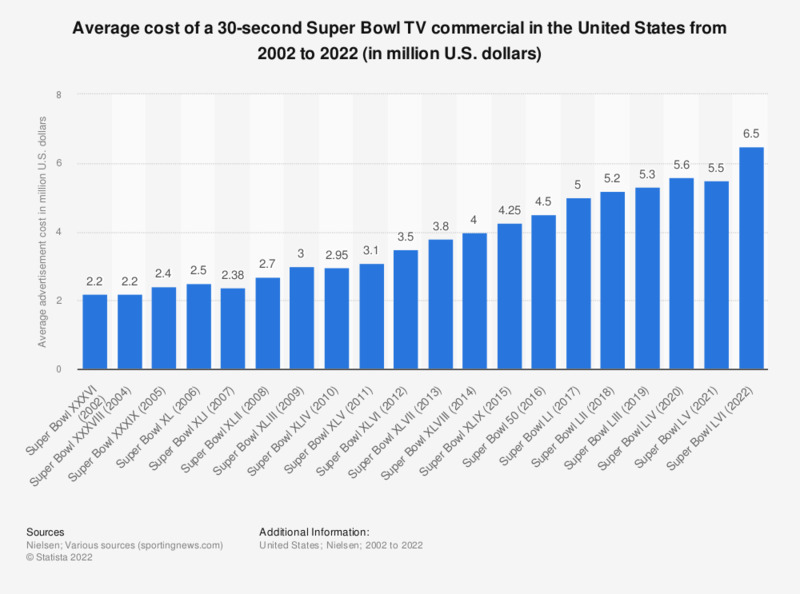 The statistic shows the average cost of a 30-second commercial during the Super Bowl broadcast from 2002 to 2019. The 2019 Super Bowl LIII is the event with the highest average cost for a 30-second advertisement with 5.25 million U.S. dollars. * Inflation-adjusted average cost of a 30-second ad spot.